You are reading an article from the Women in business series, to read more about this you can visit the series homepage. “HubDot is not networking in the traditional sense. It’s about celebrating the unique way women connect through storytelling. When two people connect, the opening line isn’t “What do you do?” but rather “What’s your story?”. 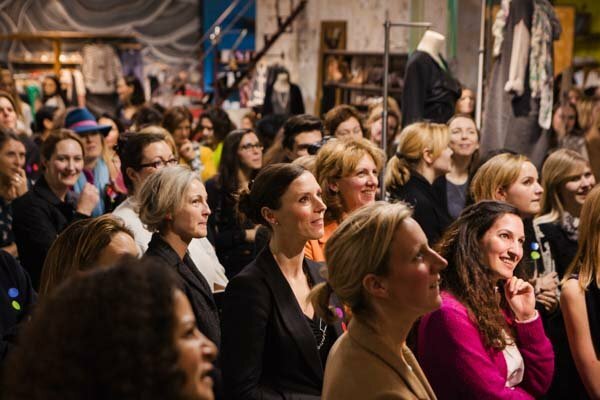 This allows women to come together in an environment that connects on a deeper level beyond labels and work tags,” says Barbieri. The idea initially was a way to connect Barbieri’s own network of friends for an informal coffee, but friends brought their own friends, who liked the idea, and the first gathering at her house in June of 2012 grew from 20 to 98 people. It is now a network of 10,000 global women, expanding into Houston, Portland and Barcelona in October and South Africa, Berlin, Rome, Riga, Beirut, Gambia, Washington DC and the Silicon Valley later in the year. Beyond this, there is a list of 52 cities who expressed strong interest in holding HubDot events – all on a voluntary basis because they believe in HubDot’s power of storytelling and women coming together to make a difference. Hub Dot is now looking for strategic investment to enable global growth. 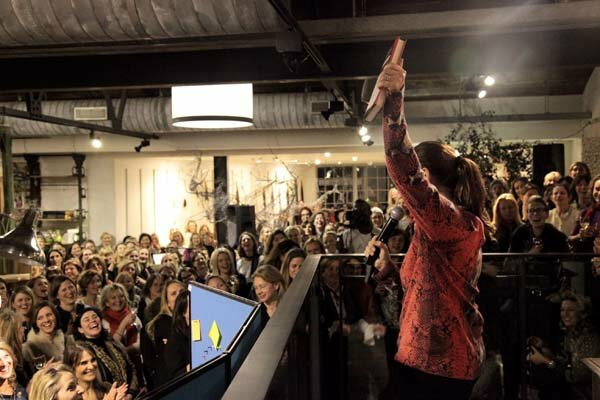 “I wanted to create a way for women to look behind the labels and the masks we wear daily and to allow paths, which wouldn't normally cross otherwise, to cross each other.” Barbieri comments that the walls that traditional networking builds (professional status, financial wealth, perceived success) crumble at HubDot, instead making way for true connections. Barbieri calls this magic – Dot Alchemy. Red - a very strong and determined colour, Red Dot means "I'm established in my ... (career, homelife, etc), how can I help?" Yellow - light, a bright idea - Yellow Dot means "I have an idea, can you help?" Green - Green Dot means "I'm here to be inspired." Blue - a neutral colour for those not quite ready to expose themselves but interested in learning more - Blue Dot means "I'm here to shop and socialize." Purple - an intense deep colour of the big idea, deep feelings and big passions. Purple Dot means "I want to tell you my story ...(my charity/passion/work)," it’s for thosewith a philanthropic story or a mission. HubDot is the ultimate definition of a social network with an explosive growth. The passion of its members ensures that every woman is an ambassador, who grows the network through word of mouth and making transformational connections.